2014 COTSA State Conference a huge success! 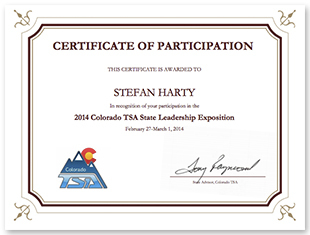 The 2014 Colorado TSA Leadership Exposition has come and gone and it was another banner year for our organization with almost 1,100 participants and nearly 90 leadership and technology-related events! Congratulations to all the winners!! A PDF of the awards presentation can be found here. We have posted photos of the conference on our Facebook page (you don’t need to have a Facebook account to view the photos), located here. If you have photos you took during the conference and would like to share, please send them to Mr. Raymond, the state advisor, at tony.raymond@cccs.edu. The results will be posted online soon along with Certificates of Participation. All scoresheets will be sent to the advisors along with information about the national conference within the next couple of weeks so teams can start preparing! The TSA National Conference will be held at the Gaylord National Resort & Convention Center in National Harbor, MD, June 27-July 1, 2014. For more information, please visit the National TSA website at www.tsaweb.org. Certificates of Participation for all registered attendees can be found here. Previous Previous post: COTSA launches spirit wear store! 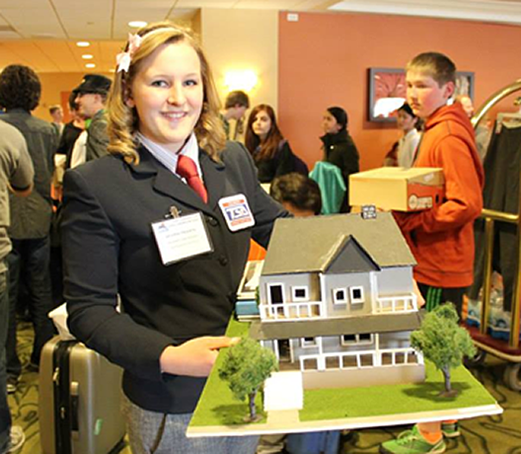 Next Next post: Battle Mountain HS Wins Solar Race!